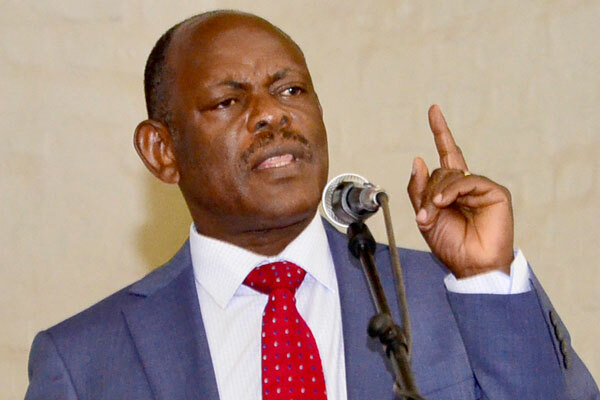 Makerere University vice chancellor, Prof. Barnabas Nawangwe has launched a scathing attack on the media over its coverage of the institution. Using both his personal and university accounts, the vice chancellor termed media reports from Daily Monitor and NTV about the pending university staff strike as “fake news”. Both Daily Monitor and NTV carried stories about the staff strike saying students had been left stranded. According to Daily Monitor, the strike follows the suspension of the chairperson of Makerere University Academic Staff Association (Muasa), Mr Deus Kamunyu, Mr Bennet Magara, the chairperson of Makerere Administrative Staff Association (MASA), and his general secretary, Mr Joseph Kalema, for alleged indiscipline and inciting fellow staff. However, Nawangwe dismissed such reports as untrue. “Lectures are ongoing across all colleges of the University,” tweeted the University’s twitter page. Nawangwe took to the same fora, to question NTVs story about the strike. I wonder why NTV is spreading fake news about a strike at Makerere University? The University opened for classes yesterday and many classes took place.